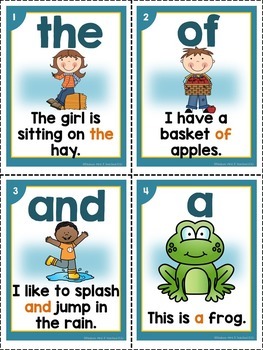 Sight Word Fluency Cards (Fry's 100 and 200) were created to help student practice their sight words in context in addition to in isolation. If your district uses this list this is all you will need in terms of getting organized to teach your sight words for the year. I have the large cards with both 100 and 200 words but decided to create the smaller cards as this is how I will be using them this year. 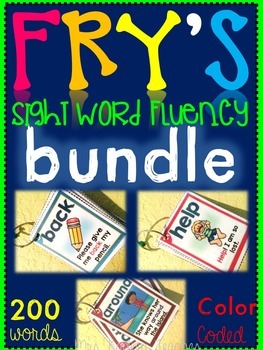 Word lists are also provided in this bundle. Every 20 set is color coded for ease of use. There are multiple ways to use this tool. 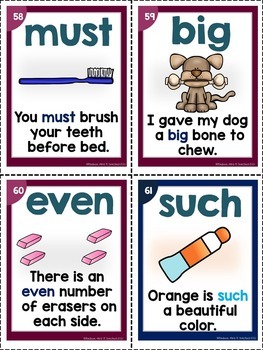 It also goes perfect with my Sight Word Fluency Readers which focus on one word in context . Please see the preview for more details and stay tuned for my blog about it ! 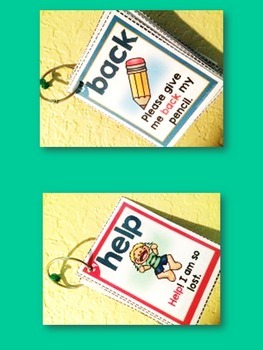 Check out my sight word books for more center work practice. It goes along with this set.